To learn more about how you can connect with CISDR, please contact us at ConnectCIS@cisdallas.org. You can also sign up for our email newsletter and follow us on social media. 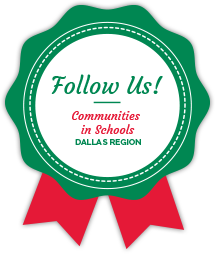 Stay up to date with all the latest news from Communities In Schools of the Dallas Region. 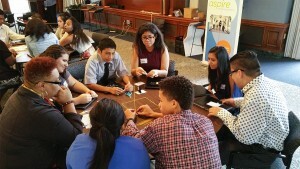 Our Facebook community is full of CISDR supporters, volunteers, donors, teachers and parents. Join us and hundreds of others to discuss, share and take action! Follow us on Twitter to get real time updates during events, as well as plenty of tips and volunteer opportunities. Find CISDR employees, Board Members, volunteers, alumni and friends on LinkedIn, where you can connect in a professional setting. Follow the CISDR profile on Instagram and become a brand ambassador by tagging all of your adventures with us with #CISDR. Subscribe to our Channel on YouTube to experience the story of our students, mission, and events through video.